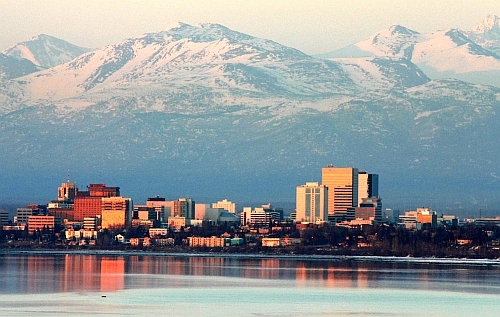 JetBlue has dropped the price of some of their May and June flights from Seattle to Anchorage, Alaska down to $191 CAD roundtrip including taxes. JetBlue includes carry-on and 1 personal item with their lowest prices. Checked bags are extra. The price on Kayak should show up as $150 USD roundtrip. This will work out to $191 CAD roundtrip when booked with a Canadian credit card, including the typical 2.5% foreign exchange fee. Or, if you book with a credit card that does not charge foreign exchange fees, it will be even cheaper. flight deals, seattle, sea, united states, north america, alaska, anc, anchorage and jetblue.